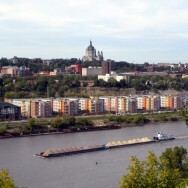 Riverview at Upper Landing is a residential development on the banks of the Mississippi River in St. Paul. 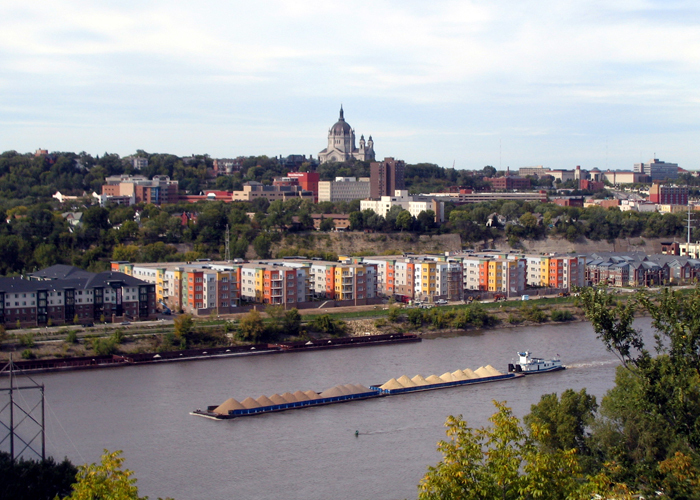 Blocks 5 and 6 comprise 207,000 square feet of apartments as two identical four-story buildings of wood-frame construction with steel-framed balconies at levels 2 through 4. Residential units stack so bearing elements align at all levels. Foundations consist of conventional spread footings. First floors are precast concrete plank supported by precast concrete beams and columns. Beneath the buildings is one level of concrete slab and masonry parking.